Texas Dance Hall Preservation logo. Image available on the Internet and included in accordance with Title 17 U.S.C. Section 107. TEXAS DANCE HALL PRESERVATION, INC. Texas Dance Hall Preservation, Inc., is a 501(c)(3) nonprofit organization dedicated to promoting the public awareness, preservation, and continuing use of historic dance halls in Texas. TDHP was founded in 2007 by Texas music historian and entrepreneur Stephen Dean, historical preservation professional Steph McDougal, and structural engineer and preservationist Patrick Sparks. The organization works to advance its mission primarily by developing informational programs that promote public awareness and use of Texas dance halls as living venues for community assembly, music, and social dancing. It promotes efforts to document and publish the history of Texas dance halls, both individually and by developing collections of resources for education and outreach. It also serves as a clearing house for information facilitating the preservation of the state's dance halls. It provides assistance for efforts to place dance halls on the National Register of Historic Places, as well as financial and organizational assistance for the restoration, rehabilitation, and preservation of historic structures. Texas dance hall established in La Bahia (1879). Image available on the Internet and included in accordance with Title 17 U.S.C. Section 107. 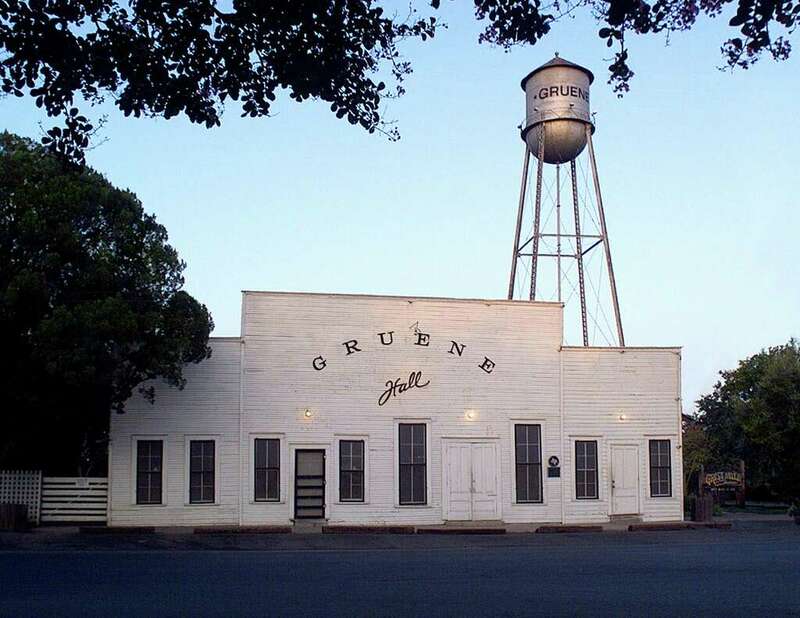 Gruene Hall in New Braunfels built in 1878. Image available on the Internet and included in accordance with Title 17 U.S.C. Section 107. A typical Texas dance hall sign. Courtesy of Red Horse Signs. Image available on the Internet and included in accordance with Title 17 U.S.C. Section 107. In the mid-nineteenth century, early in Texas history, dance halls were often among the first buildings raised in new communities founded by immigrants from central Europe. Indeed, they were often the most prominent landmarks in these early settlements. Central European immigrants brought with them traditional, artisanal building crafts and, just as importantly, a powerful desire to maintain their cultural heritage on many levels, from language and foodways to music and vernacular architectural styles. This desire is reflected in the halls that were constructed in these communities as central cultural institutions that usually provided a gathering place for numerous overlapping functions included singing clubs (Gesangvereins), shooting clubs (Schutzenvereins), physical fitness clubs (Turnvereins), community insurance associations (SPJST Halls), religious associations (KJT Halls), as well as organizations related to the communities' primarily agricultural economies. In the rural Texas culture of this period, these halls were as important to community life as courthouses and churches. From the beginning, these halls were the focus of social dances. In time, they became one of the crucial vehicles for the development of Texas music in the twentieth century. Ben Christian's Texas Cowboys at Jerry Irby's Texas Corral (1950). Courtesy of Pine Grove Press. Image available on the Internet and included in accordance with Title 17 U.S.C. Section 107. It is evident that the dance halls have been incubators for a rich culture of numerous popular music styles, the diverse forms of "Texas music" as it is known around the world today. From the nineteenth century brass bands, polka bands, string bands, and fiddle-oriented ranch dance ensembles, the unique mix of musical genres that was nurtured in these halls cross-pollinated with the state's varied ethnic cultures. In this manner, western swing, honky-tonk, conjunto, Tejano, barrelhouse blues, and other subgenres were born and raised in this unique Texas institution. For more than 135 years, these halls have been the home to Texas music. Texas Monthly cover featuring Texas Dance Halls. Courtesy of Jeff Wilson Photography. Image available on the Internet and included in accordance with Title 17 U.S.C. Section 107. As of 2015 TDHP has been instrumental in publicizing the historical and modern cultures of Texas dance halls through stories in Texas Highways, Texas Monthly, Texas Architecture, 3rd Coast Music, Texas Music magazine and other publications, as well as in features on National Public Radio and film documentaries including Noc na Tanečku (Night at the Dance), by Annie Silverstein (2010). Recent books on dance halls in Texas include Geronimo Treviño, Dance Halls and Last Calls: A History of Texas Country Music (2002); Kevin Alter and Krista Whitson, Dance Halls of Central Texas (2004); Gail Folkins, Texas Dance Halls: A Two-Step Circuit (2007); and Stephen Dean, Historic Dance Halls of East Central Texas (2014). Texas Dance Hall Preservation, Inc., additionally maintains a website with general information and news on Texas dance halls. Austin American-Statesman, December 9, 2007. Stephen Dean. Historic Dance Halls of East Central Texas (Mount Pleasant: Arcadia Publishing, 2014). 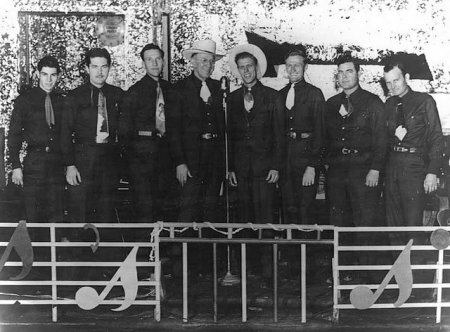 Texas Dance Hall Preservation, Inc. (www.texasdancehall.org), accessed August 26, 2015. Handbook of Texas Online, Steve Dean, "TEXAS DANCE HALL PRESERVATION, INC. ," accessed April 25, 2019, http://www.tshaonline.org/handbook/online/articles/xat12. Uploaded on April 27, 2015. Modified on July 10, 2018. Published by the Texas State Historical Association.